If you're staying in Pichidangui and you don't really know a lot about it, there's no need to stress — we'll give you the lowdown! 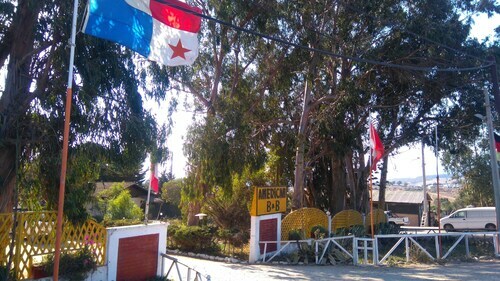 This town lies 20 miles (32 kilometers) to the northwest of La Ligua, and 100 miles (161 kilometers) to the northwest of Santiago, the nation's buzzing capital. Get undeniably good savings on package deals via Travelocity. Just select from more than 400 partner airlines and 665,000 places to stay, and you'll be off to Pichidangui in no time! Would you like a stress-free trip? Our Customer 1st Guarantee offers the added comfort of 24/7 personal assistance on all our services. Have you seen an even better bargain? We'll match the price and reimburse the difference^. Don't you wish you had a little more flexibility in your vacation plans? All of our package bookings can be revised with no hidden fees or charges. And as long as you get in fast, most accommodations don't charge fees either^. You'll have to book ahead if you want to stay close to Pichidangui. The Regata Hotel is the only listed property within a short commute of the center. Where do you fly into for Pichidangui? There's no better feeling than touching down in an entirely new place. If you're jumping on a plane to Pichidangui, there's a good chance you'll be stepping out into Vina del Mar Airport (KNA). It's 55 miles (89 kilometers) to the south of the central area. Pick up your luggage and get set to kick-start your adventure! Can I rent a car in Pichidangui? Forget the hassle of buses and pricey cabs. If you want to do some fun exploring while in Pichidangui, you should grab some wheels via Travelocity. We make it so easy that you'll be crafting the ultimate playlist in next to no time! Few things are more refreshing than the sound of ocean waves coming into shore. Roll out a picnic rug, stretch out and let your soul be soothed at Pichidangui Beach. After more ideas? It's possible you might find the thought of exploring some rocks slightly underwhelming. However, Salto El Puquen is not your run-of-the-mill pebble. Visit this grand natural formation and take in its grandeur. Pichidangui has a whole lot of things to keep you busy, but if you'd like to explore further afoot, you're in luck! You have famed tourist attractions close at hand! The Casa Mirador de Lukas draws tourists from all nations. Vina del Mar, only 60 miles (97 kilometers) from Pichidangui, is a handy base when visiting this unforgettable attraction. Situated in Los Vilos, this cabin is 0.5 mi (0.7 km) from Pichidangui Beach and 19.6 mi (31.6 km) from Los Vilos Beach. 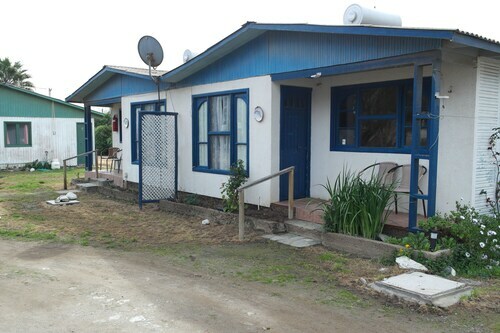 Situated in Los Vilos, this bed & breakfast is 0.8 mi (1.3 km) from Los Vilos Beach and 18 mi (29 km) from Pichidangui Beach.